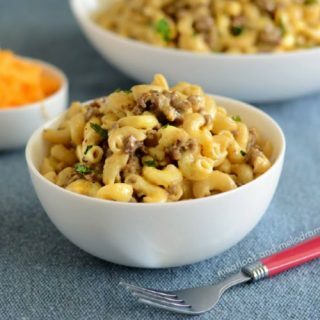 Instant Pot Cheeseburger Macaroni is homemade hamburger helper made with ground beef and pasta in a creamy, cheesy sauce. Quick, easy and kid friendly! Raise your hand if your grew up eating Hamburger Helper cheeseburger mac? This was actually one of my favorite dinners, so I decided to make a healthier homemade Hamburger Helper for my own family. 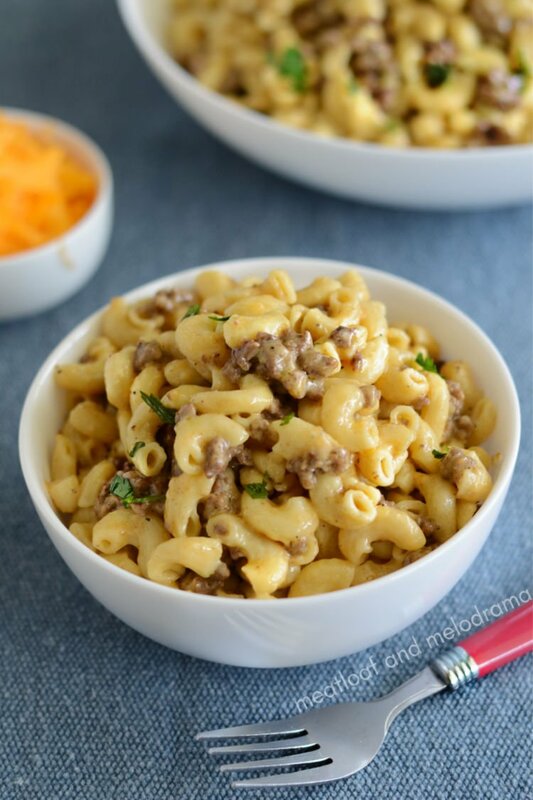 This Instant Pot cheeseburger macaroni is quick, easy and even better than the cheeseburger mac you grew up with! I’m always trying out new quick and easy Instant Pot recipes, and I whipped up this easy cheeseburger macaroni for the kids’ lunch today. 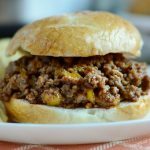 I have a lot of Instant Pot ground beef recipes on the blog, but I didn’t have one for cheeseburger macaroni — until today! 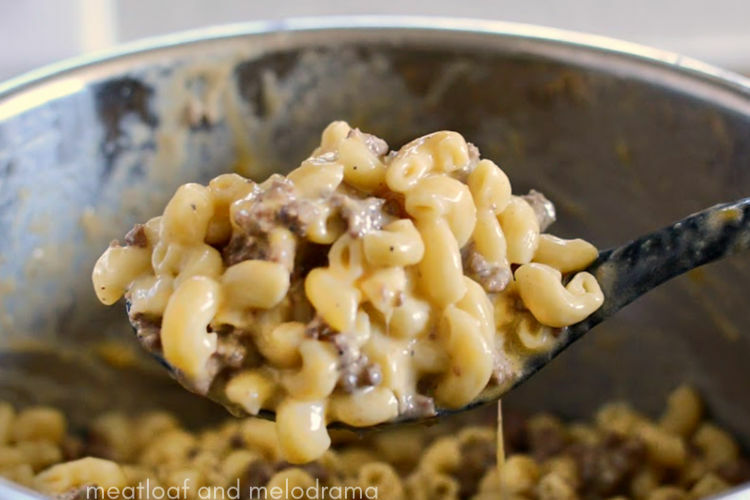 The beautiful thing about this Instant Pot cheeseburger mac or even skillet cheeseburger mac is that you probably have everything you need to make it — nothing complicated about this recipe! I even had some ground beef in the fridge. So if you’re looking for a quick and easy Instant Pot dinner recipe that’s also kid approved, this one’s for you! Cheeseburger macaroni is practically a dump and go recipe, only you do have to brown the ground beef first. To cut down on prep and make this dinner even easier, I use dried minced onions along with a few other spices. 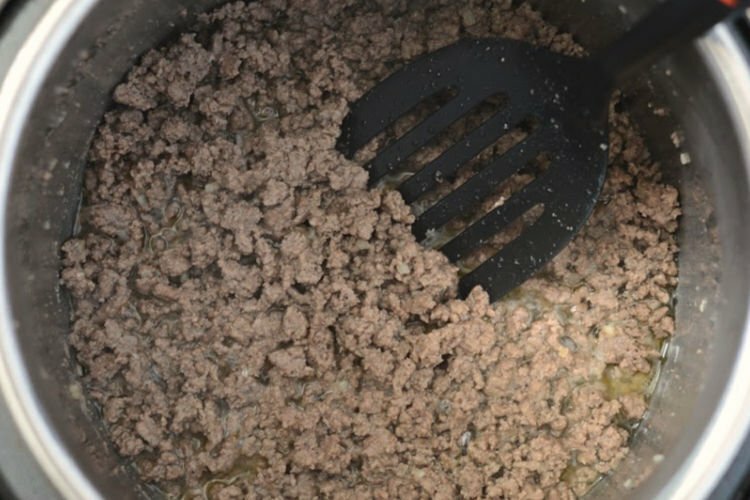 I use lean ground beef so that I don’t have to drain the fat, but you can drain it before adding your seasonings if you need to. 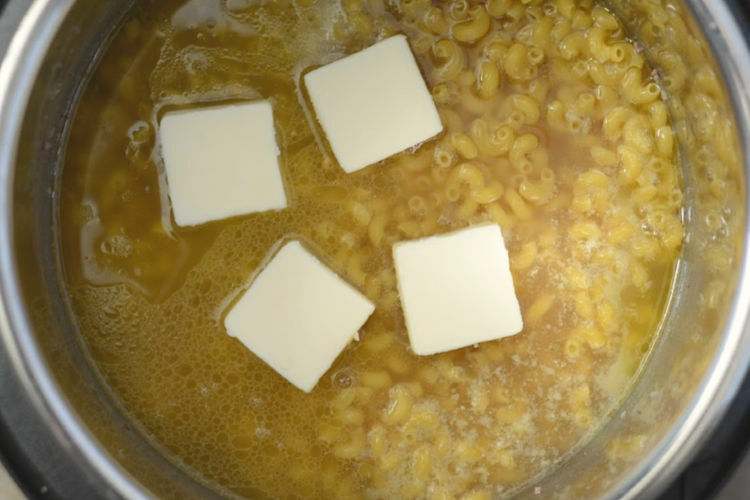 Next, add the macaroni, beef broth and then, add some butter. You need 4 cups of beef broth to cover the macaroni, so you can add a little water if you don’t have exactly 4 cups of broth. You can also use all water instead of broth if you want, but the broth gives this beefy mac an extra flavor boost! After the pasta cooks, stir in some cream and shredded cheese — that’s it! I used a mixture of colby jack cheese and cheddar cheese, but you can definitely use you r favorite cheese here. 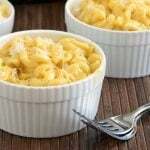 Heck, if you want to make cheeseburger macaroni with Velveeta, go for it! 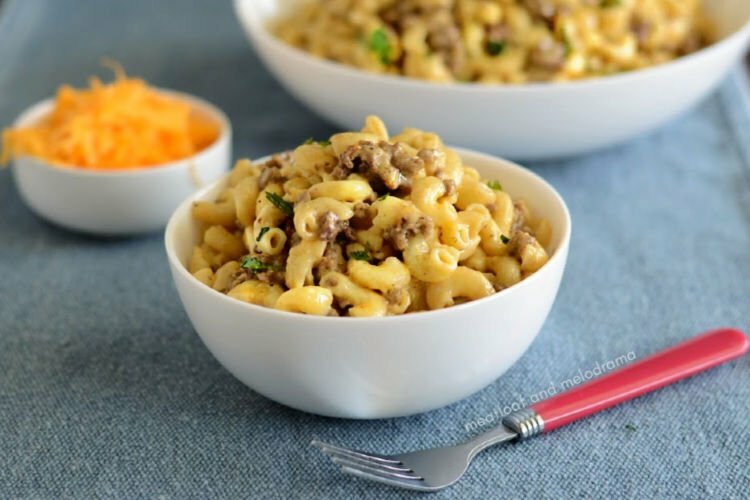 Guys, this Instant Pot cheeseburger macaroni is so good! It’s absolutely perfect when you need a quick and easy, kid-approved dinner! 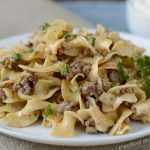 Looking for more Instant Pot ground beef and pasta recipes? Recipe can be made in either the 6 quart or 8-quart Instant Pot electric pressure cooker without changing ingredient amounts or cooking time. Pin this recipe to save it! 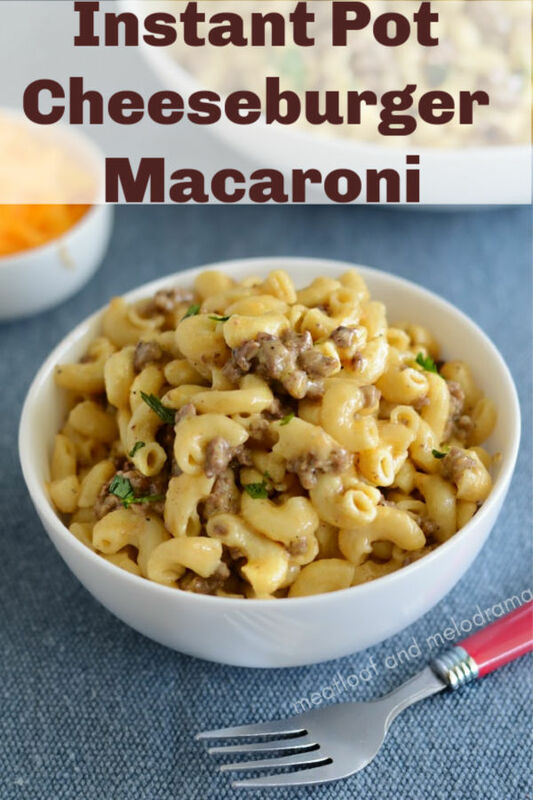 My family loved this easy Instant Pot cheeseburger macaroni. I hope you enjoy it as much as we do! I am seriously in love with this dish! I really need this. Thanks, Jocelyn. It’s definitely a keeper! Oh this looks so good! 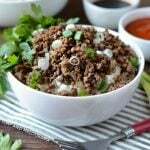 I love using my instant pot! I will be trying this for sure! Thanks, Allyson! I hope your family liked it! Oh how delicious this recipe looks! I really like it! Thanks so much, Chrissie! My family loved it! This looks incredibly delicious!! My kids would LOVE it!! Looks so perfect! Definitely a must try! I love this! looks so good! Holy delicious! These look seriously incredible, can’t wait to try this! So delicious! My family would love this! Thanks, Jamielyn. My kids are crazy about it! Made this for the kids twice this weekend. They couldn’t get enough. Super easy too! This looks so comforting and delicious. Yum! Thanks, Julie. It’s definitely comfort food! Could you add a can of petite diced tomatoes too this. I’m wondering if I did if I would drain the tomatoes or not. If I double the recipe, so I need to increase cooking time? Hey all! I wanted to share that I doubled this but changed the time to 0 minutes on manual high pressure and it was wonderful! My kids LOVED it! Just made a double batch of this. It’s delicious! Definitely on my meal rotations. I didn’t have Colby cheese so I used Monteray Jack jalapeno. Yummy!! Thank you for sharing this recipe. Thank you for a great recipe! It was delicous!! So glad to hear this, Sandra. Thank you so much! Wow this was fantastic! My whole family loved it. Served with steamed broccoli (frozen) so literally one put to clean. QUESTION: 4 cups of broth did not cover my pasta, so I added extra. And then when I open the pod there was too much broth left that I had to ladle out. Does the pasta have to be submerged under the broth in order to cook properly? Looks delicious! Will be making for dinner tomorrow. One question, would evap milk be an okay substitute for heavy cream? I have some in the fridge I’m needing to use before it spoils.